Innovated Machine & Tool Co. is featured in The Fabricator - August 2013 edition for being a cutting edge leader in the metal fabrication business! Click image to read the article. Innovated Machine & Tool Co.
Innovated Machine & Tool Co. Inc.
Innovated Machine & Tool Co., Inc. has been in business for more than thirty years and has an amazing story of growth and perseverance. Innovated Machine & Tool Co., Inc. was began in the late 1970’s, and incorporated in 1982 in Gloucester County, Virginia. Our company began as a humble machine shop and tool & die maker. The current owner and CEO, Dwight Bryant, joined Innovated Machine in 1984. Subsequently Innovated moved from our first modest shop into a larger building on Route 17 in Gloucester in 1986. The company continued to grow, and in 1994 moved to a brand new, 10,000 sq. ft. facility in Newport News, VA. This strategic move allowed us to be closer to our customer base, the interstate to accommodate larger deliveries and shipments, and a larger and more diverse workforce. Innovated acquired sheet metal fabricating equipment and began fabricating enclosures and panels for electronics companies in the Mid-Atlantic region. As Innovated grew, it became apparent that great things were in store for our company, but our building didn’t allow for much growth. The Amada Punch Press we needed was taller than that building’s roof! 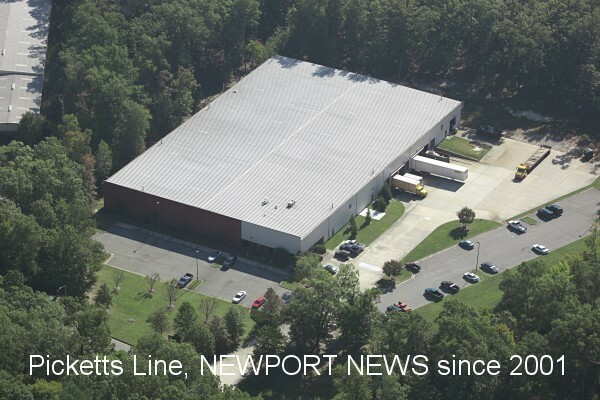 So in 2001, we sold the building in Newport News and leased a beautiful 60,000 sq. ft. facility in the Oakland Industrial Park in Newport News. This gave us room to add a powder coating booth and several pieces of state-of-the-art sheet metal fabricating equipment, including an automatic load-unload Amada Turret Punch Press with an automatic PDC Tool Changer and six tier material storage and retrieval system. Since our move to the Oakland Industrial Park, we have continued to grow. We purchased our building in 2007. In our efforts to remain a leading, cutting-edge Precision Sheet Metal Fabricator, we added Laser Cutting, Robotic Welding, Panel Bending, and automated Powder Coating to our capabilities. Dwight Bryant’s vision for Innovated has been carried out due to the efforts of our dedicated employees that excel in high standards of quality and customer service, maintaining a loyal customer base that enjoys the benefits of true partner relationships, and last but not least cultivating partnerships with our raw material suppliers that play a very important part in our continued success. Two of Dwight’s children, Cameron and Marti, are stepping up to carry on his vision for the company, under his leadership. We'd be happy to discuss our product offerings in greater detail with you. Please contact us at 757 887-2181 or use our contact form. © Innovated Machine and Tool Co.